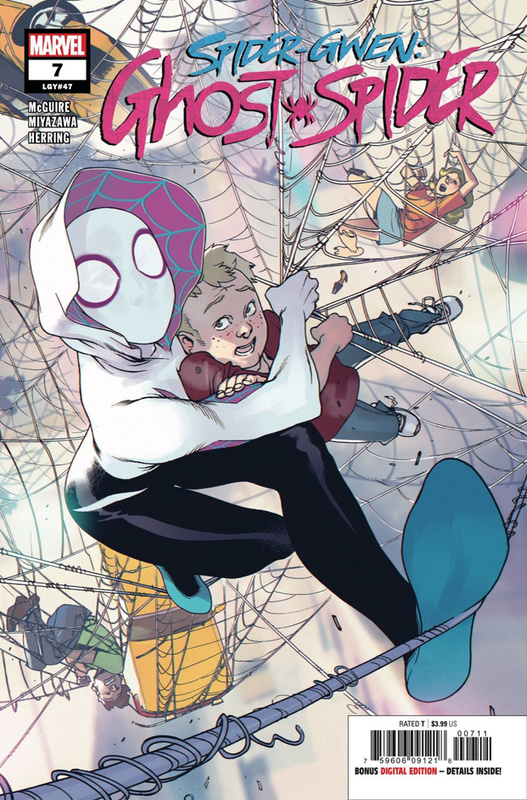 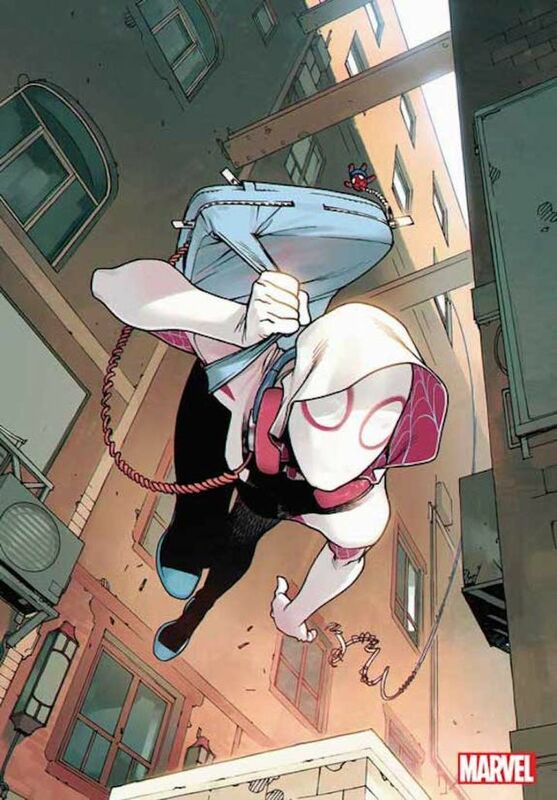 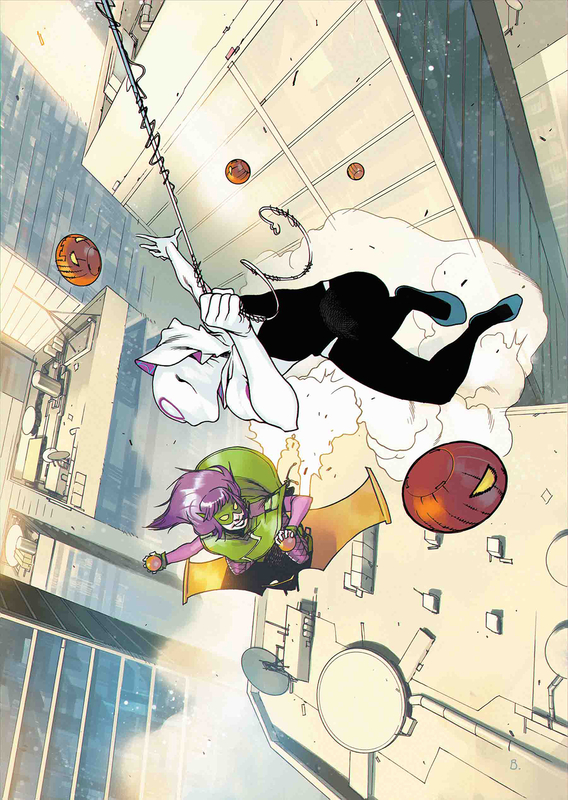 La précédente série Spider-Gwen vient de se terminer…et pour la suivante, qui débutera en octobre, l’héroïne change d’équipe créative et de nom de code. 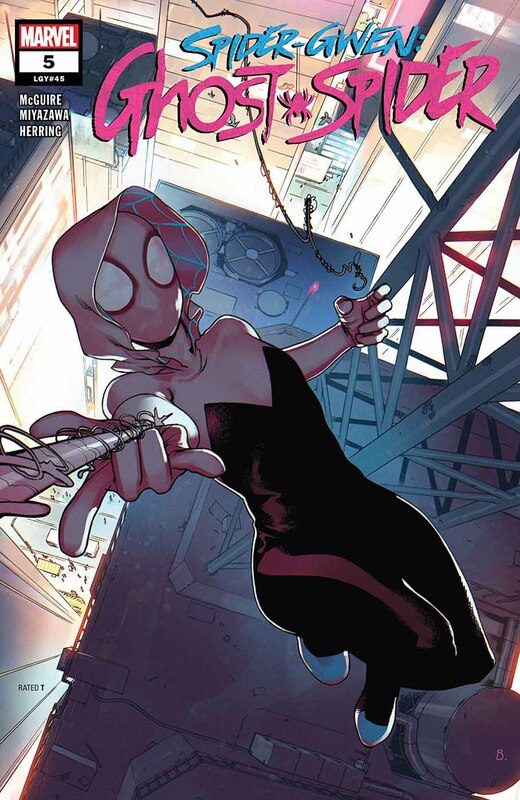 Spider-Gwen : Ghost Spider sera écrit par la romancière Seanan McGuire et dessiné par Rosi Kämpe. 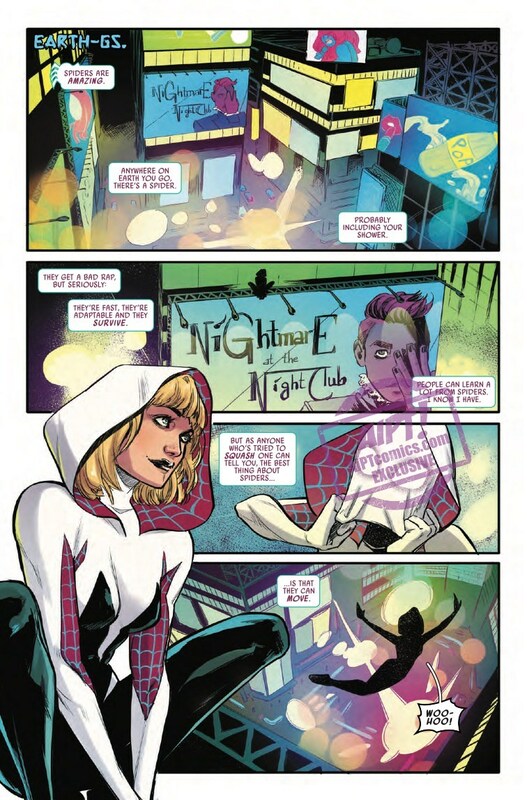 It’s a whole new spin on Gwen and her world of Earth-65, brought to you by none other than SEANAN MCGUIRE & ROSI KAMPE! 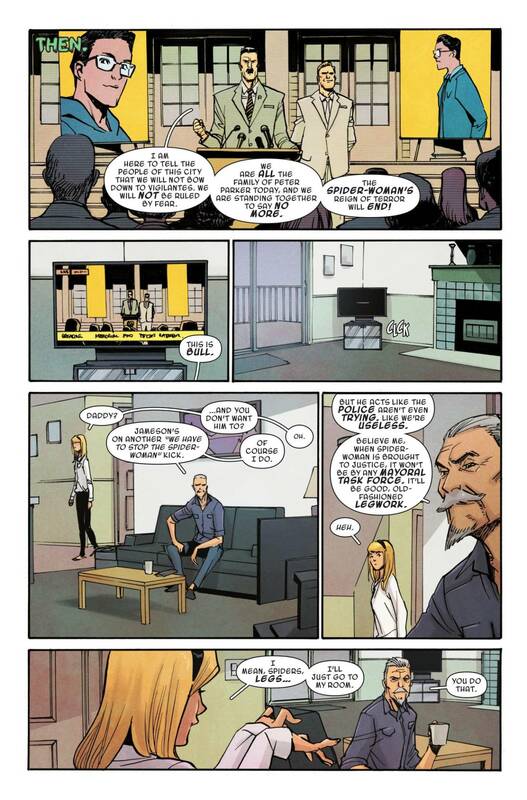 Faut quand même suivre, dans ces fichus univers. 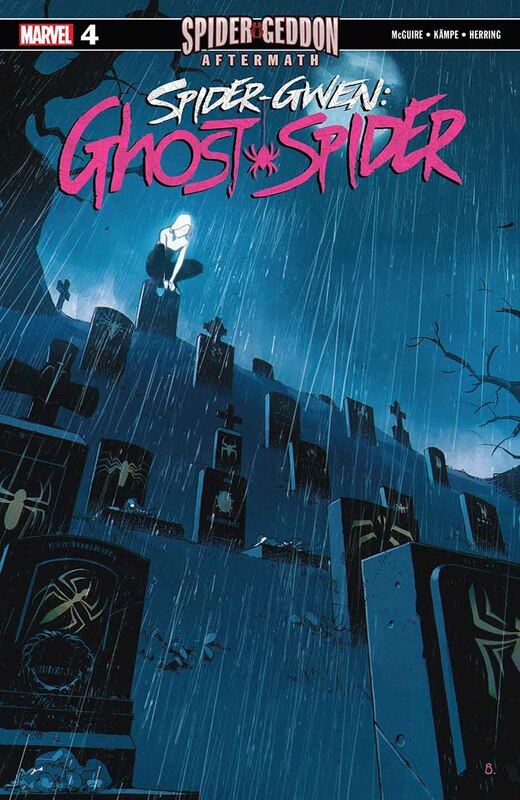 • Trapped on a parallel world as her friends are dying, there’s something very familiar about SPIDER-GEDDON to Gwen Stacy. 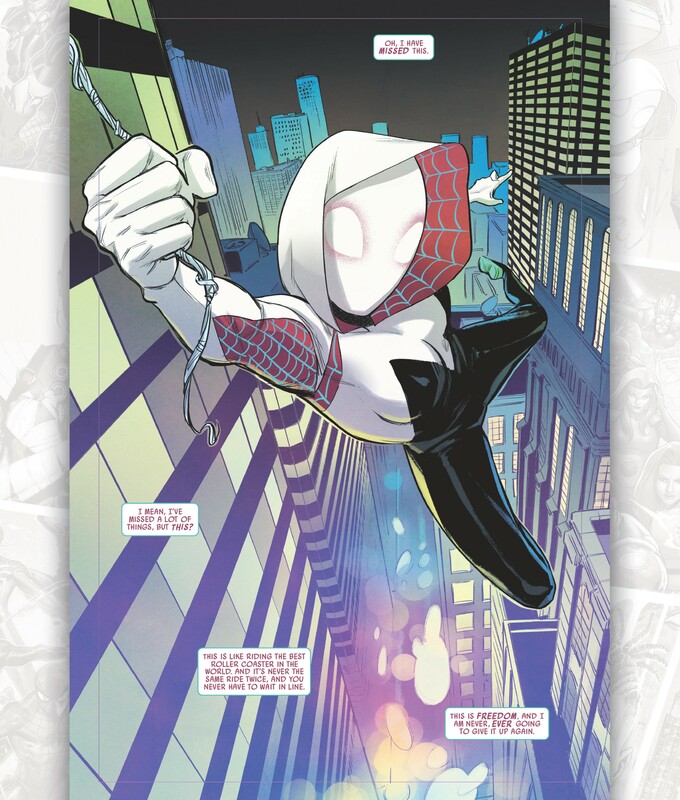 Description: A Spider-Geddon tie-in! 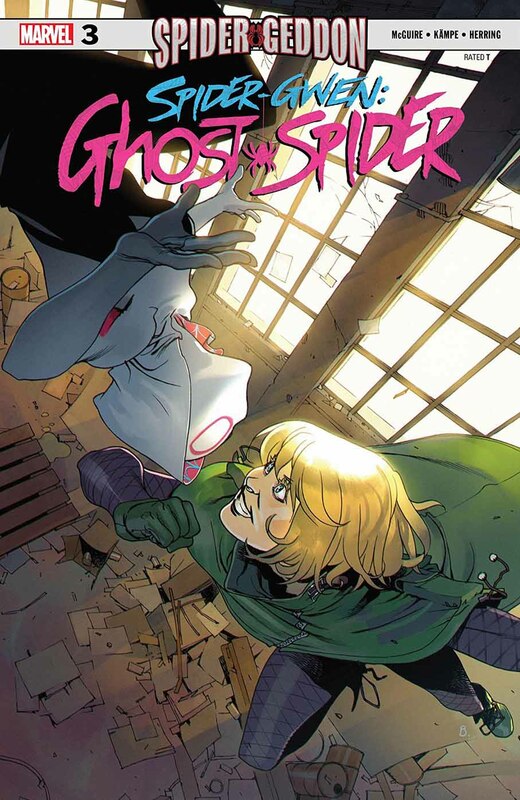 As Spider-Geddon rages on, Gwen Stacy of Earth-65 comes face-to-face with one of her deadliest opponents yet…the Green Goblin! 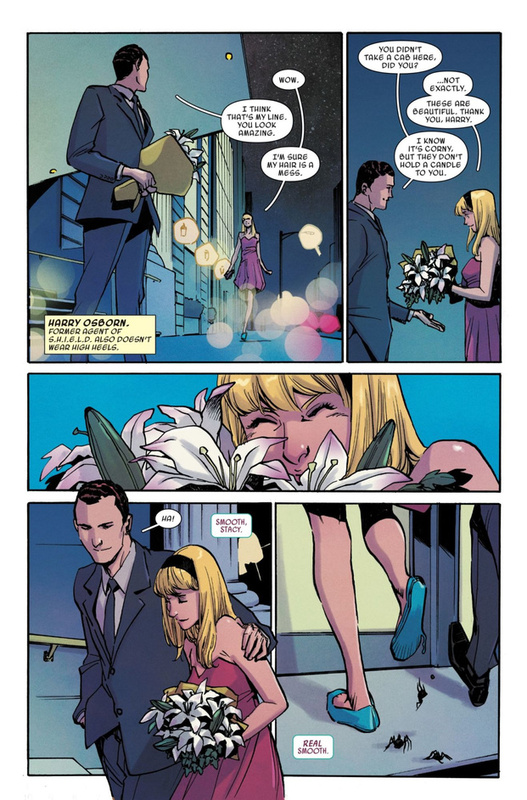 Presented with yet another world that’s lost a Gwen Stacy, Gwen-65 can’t help but wonder if she’s destined for doom and what that might mean for her family. 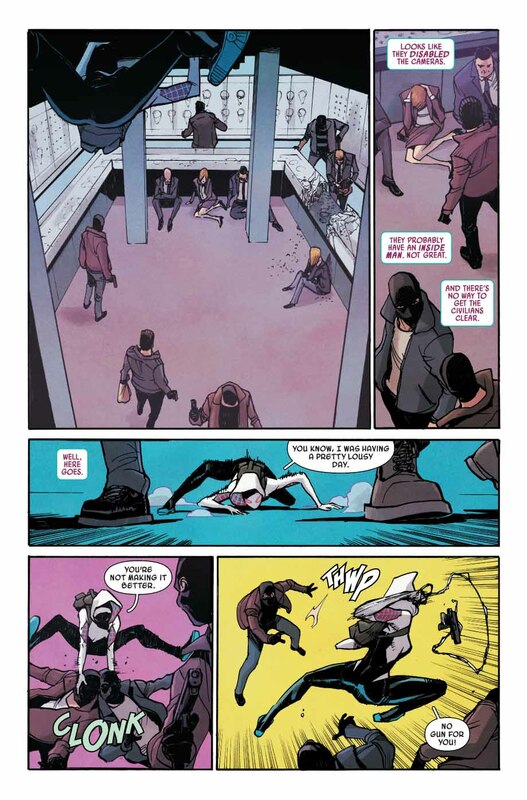 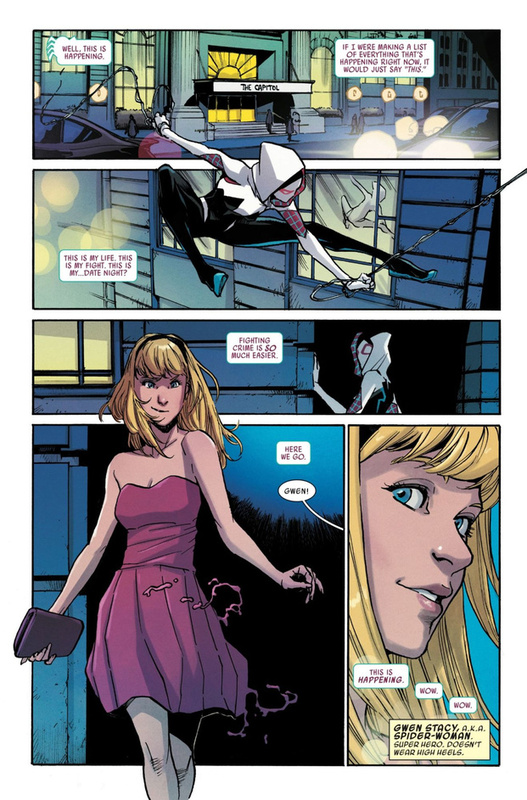 Description: In the aftermath of Spider-Geddon, Gwen Stacy has a unique ability all her own - one that will set her apart from other Spiders for years to come. 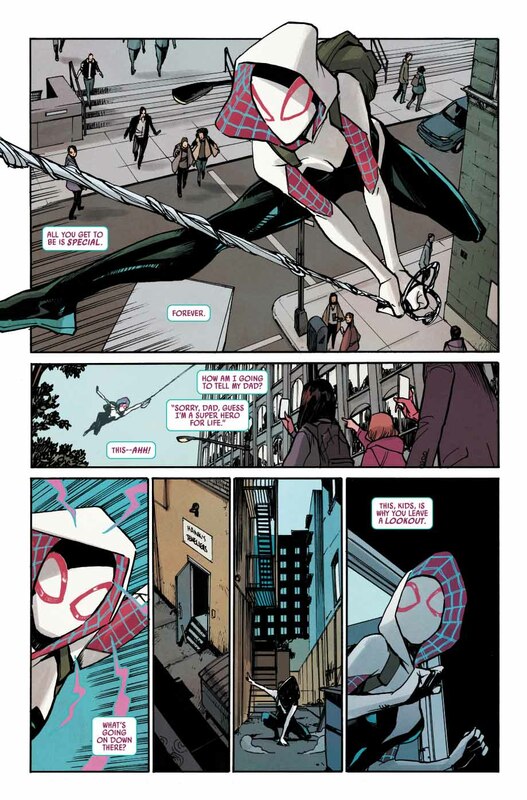 But with that unique power, there will also come a unique - and grave – responsibility. 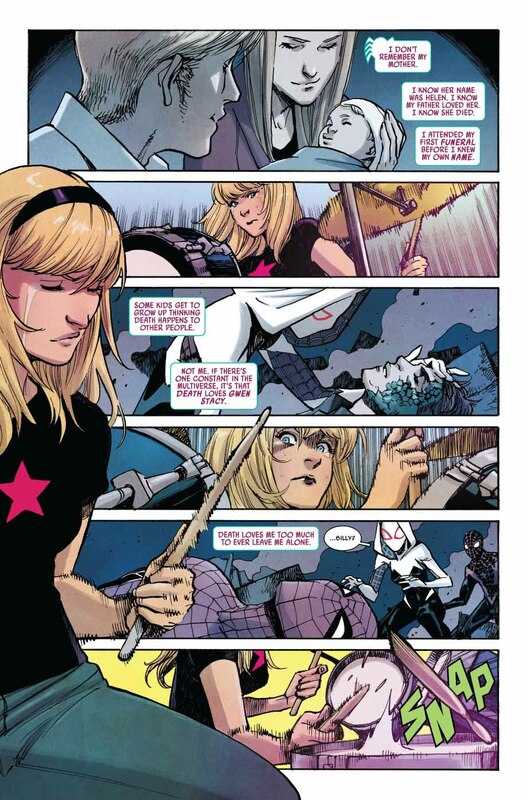 One that Gwen will have no choice but to bear alone. 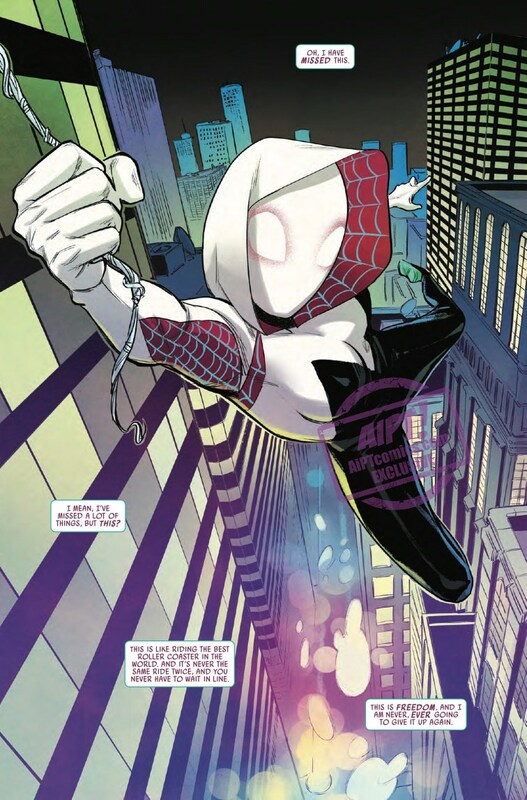 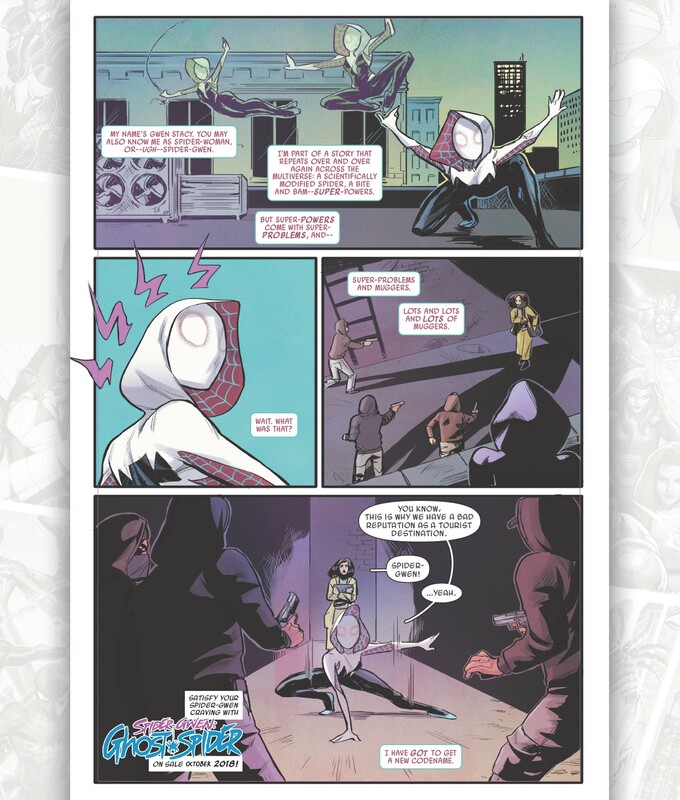 Faut avouer, “Spider Gwen” ça sonne sympa comme surnom, mais comme nom de code pour une héroïne à l’identité secrète, sur le long terme y a un petit souci de logique. 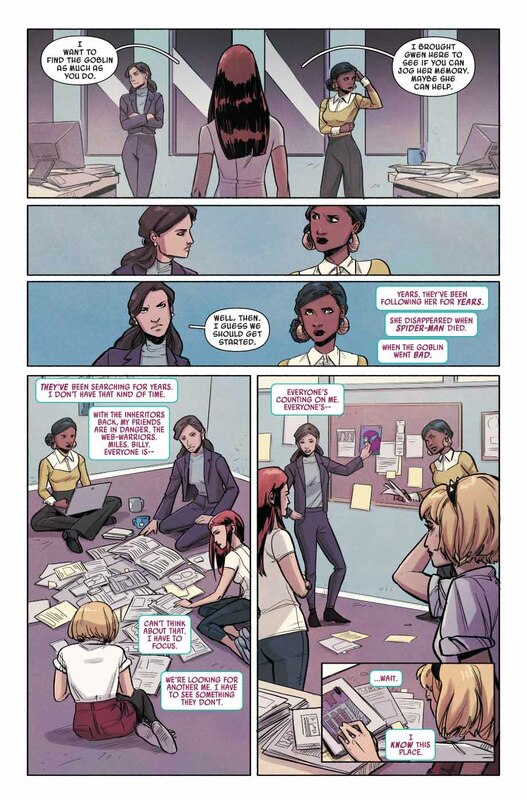 Un peu comme si d’autres se baladaient en ville en se faisant appeler Super Clark ou Bat Bruce. 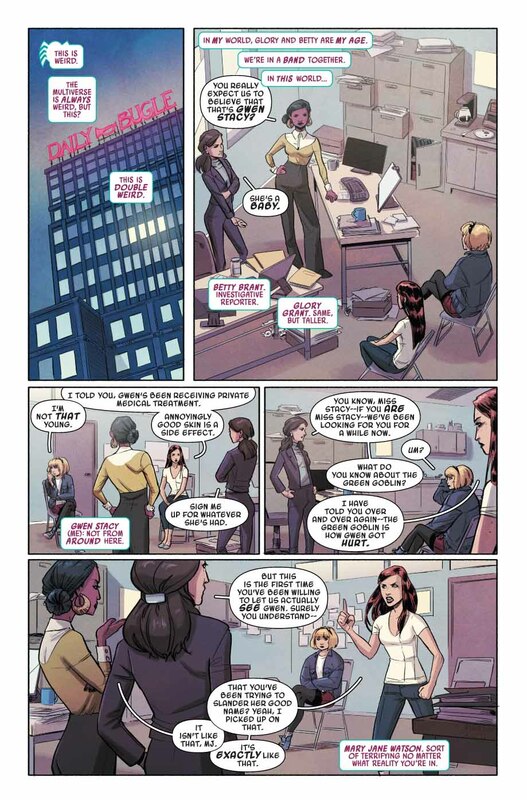 “Jim” n’est pas un qualificatif. 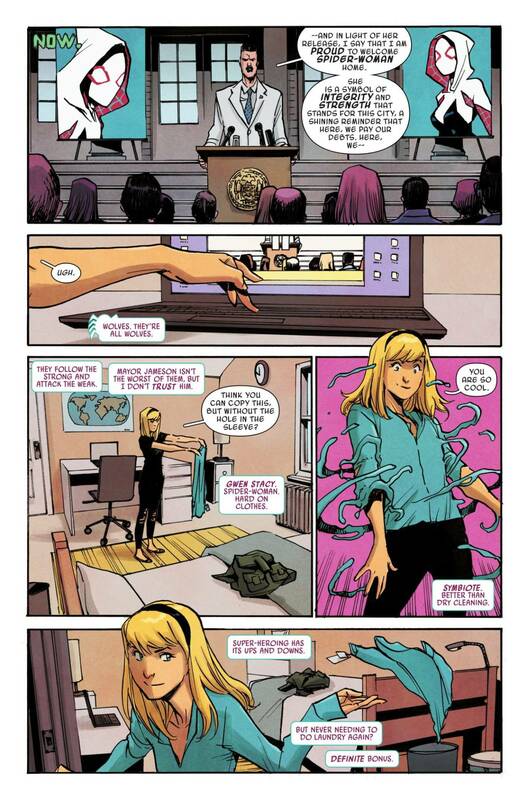 Tu t’arrêtes vraiment à peu de choses. 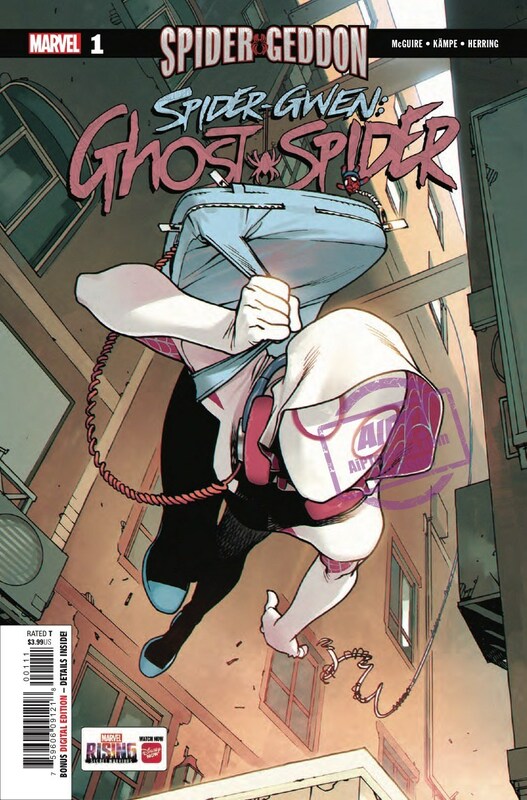 Covers by: Bengal, Pasqual Ferry. 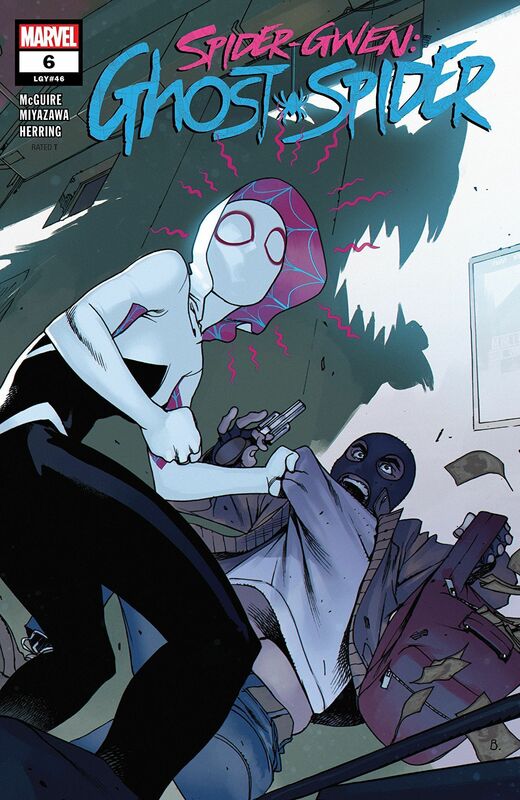 Description: In the aftermath of Spider-Geddon, Gwen is ready for her life to calm down - but when is life ever calm for a teenage super hero? 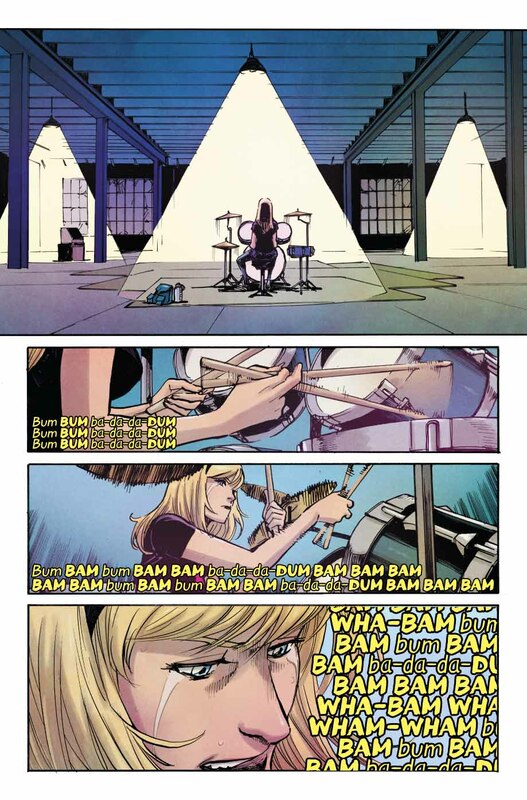 Mary Jane’s perfectionist vision for their band is driving Gwen crazy, while Gwen’s father is pressuring her to return to school. 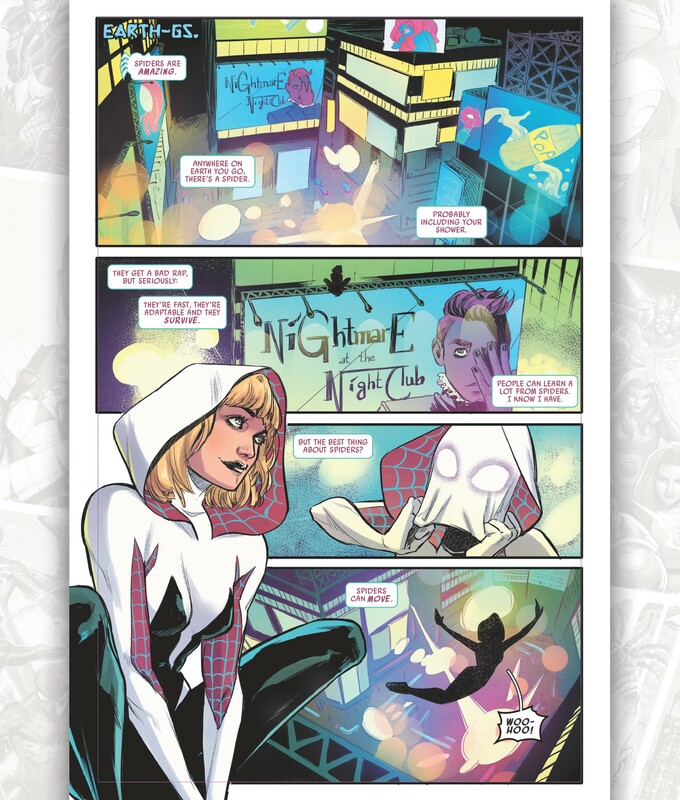 Add that to the daily trials and responsibility that come with being a web-slinging super hero, and you’ve got a recipe for a whole new era of radioactive adventure!